Rolls-Royce is inspired by many things. Music, films, rugby, and a number of topics out there. The latest bit of inspiration comes from the world of fashion, and it’s been applied to the Dawn in a splashy manner. Rolls-Royce and its Design boss Giles Taylor formed a team of designers to collaborate on the Inspired by Fashion lineup, and the result is rather striking. It all starts with the blank canvas that is a 2016 Dawn convertible finished in Andalucian White. From there the car receives subtle but bright pops of color in a number of spots. This reminds me of a brilliantly tailored jacket that looks smart and classic on the outside while hiding bright and vibrant palettes inside. Rolls-Royce is working with Mugello Red, Cobalto Blue, and Mandarin to create these three looks on its Dawn. If any brand can pull of a fashion inspired vehicle, it’s going to be Rolls-Royce. The people who purchase such cars can also afford to purchase the expensive clothes that pair well with the car. Both items are bespoke and hand-crafted, and both items cost more than your standard Camry and a pair of Levi’s. It would be fun to be able to afford such a car and lead the design team in some weird directions. Perhaps an Inspired by Death Metal car could be next? We’d be curious to see what a line of Inspired by Fight Club car would look like. 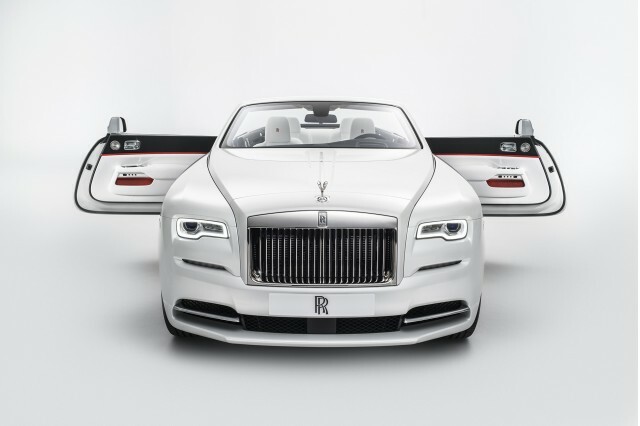 So if we win the lottery, get ready for some excellent new directions for the future Rolls-Royce lineup.